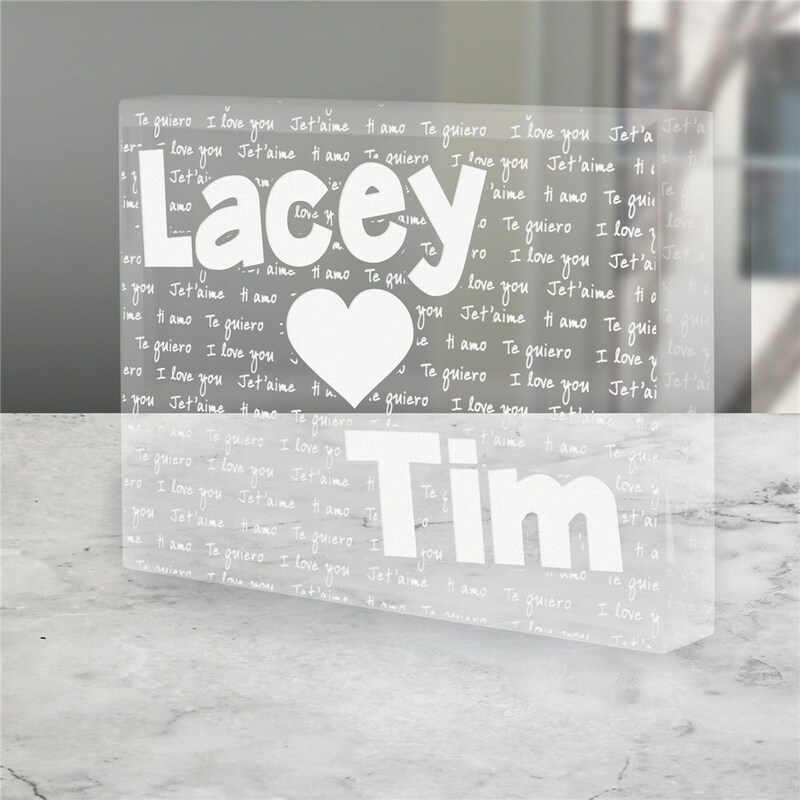 Show your sweetheart how much you love them in four different languages when you give this romantic clear acrylic I Love You Keepsake. Engraved to say I Love You in English, Spanish, French and Italian. These Personalized Couple Gifts make a great Personalized Valentine’s Day or Sweetest Day Gift for Him or Her because it may be personalized with both of your names. Our personalized couples' gifts are such a cute way to show you care! Shop personalized gifts for yourself or someone special with GiftsForYouNow! We work hard to create unique gifts for every occasion - shop online today!